The J22 International Invitational regatta, which has been running since 2006, attracted competitors from Germany, USA, Uruguay, South Africa, UK and the Bahamas to race against the top three qualifying teams from Cayman. Local sailors included Mike Farrington, who raced “Moonstruck”, Tomeaka McTaggart skippering “Ciao!” and Bruce Johnson on “Yahoo”. Racing were close run, as returning overseas teams had come prepared with local knowledge from previous years. The German team, skippered by Peter Karrie, came to compete with rival Mike Farrington, with whom they have met twice at the J22 world championships. Farrington has won Race Cayman for the past four years. Returning skipper Marc Fischer from the USA got the top boat in the draw and brought a strong team with him. By the final day, Mike Farrington was commanding a good lead with Tomeaka McTaggart holding on to second place. The race for third place was won by the Germans, one point ahead of the South African team. The open dinghy event saw Lasers racing alongside the Optimist fleet, in races run by first time race officers Gillian Allan and Jessica Jackson. Conditions were challenging for the small boats with gusts of over 20 knots and big swells in the North Sound. In the Optimist fleet, Monique Hernandez took first place, beating Cayman’s national champion, Charles Allen, and East End champion, Will Jackson, The Laser fleet winner was Rob Jackson, closely followed by Pablo Bertran. The bigger boats raced on day two for the first ever Race Cayman Cruisers Cup. The conditions were tough and Artemis suffered rudder and then engine failure, even before the start of the race. Four more boats later retired before reaching the finish line. Clive Bodden’s mighty catamaran, “Yahoo Yahoo”, stormed around the course to first place, followed by “Pie Sees 3” some 15 minutes behind. Richard York’s “Norhimar” took third place. The major sponsors of the event were Heineken and Jacques Scott, who put on a sailing fiesta happy hour. The prize giving on Sunday was at George Town Yacht Club. (CNS): A 26-year-old Caymanian woman is currently in a serious condition at the George Town hospital following a road crash which happened in South Sound this morning. Police are looking for witnesses to the smash that took place around 9am near to The Avenue . A police spokesperson said the vehicel, which was a Ford Ranger, had crashed into a wall and the female driver has sustained head injuries. Anyone who was in the area at the time of the crash is asked to contact George Town police station on 949-4222. (CNS): Updated — The problem of being a minority government was highlighted on Friday when government lost the vote to sit late into the evening in the Legislative Assembly in order to rush through a list of bills before the country’s parliament is formally prorogued Tuesday ahead of the forthcoming May General Election. With what appears to be an ever growing agenda of business in the face of increasingly late starts, long lunches, adjournments and the swapping around of the order paper, government was still faced with a very long list to deal with Friday evening, but with no support to sit late, it was forced to adjourn and reconvene Monday morning to more problems and delays. The MLAs actually got going by 10:30 Monday, an almost record breaking early start for this administration, which has been notorious for very late starts, long breaks and late night marathon sittings when it suited the government’s agenda. The former UDP members now in Cabinet, however, learned what it means to be a minority government when they were voted down by the opposition, the independents and the former UDP 'opposition to the opposition', who all untied against government when it attempted to hold a late night session Friday. 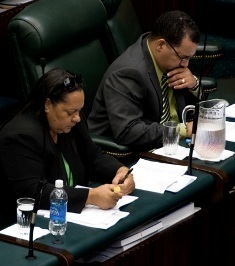 A suspension to the standing order which governs the time that the House is supposed to sit moved by the deputy premier was voted down and, as a result, the parliament was adjourned while an order paper, which includes a number of controversial bills, was left only partially dealt with. Although members managed to get the mental health legislation through its second reading Monday morning and begin the debate on the immigration amendment bill, which is not supported by the independents or opposition, the legislators broke for lunch at 1pm. The members made it back in the hour allocated in order to resume the proceedings a little after two o'clock Monday afternoon but technical problems with the recording equipment stalled the business further. The government manged to push through almost a dozen pieces of legislation before the adjournment debate began when members made their last speeches for this parliament. Legislators spoke well into the night about the last four years, before the LA was finally adjourned, after midnight,ahead of is dissolution by the governor Tuesday. (CNS): The opposition party has reached its full target of fifteen candidates that PPM Leader Alden McLaughlin had promised the PPM would field in this year’s race for office. The announcement that Dalkeith Bothwell was joining the West Bay platform means the Progressives are contesting all four seats in the district recently described by McLaughlin as “fortress McKeeva”. Bothwell was revealed as the PPM’s fourth man in West Bay and the fifteenth candidate on the national slate at the Progressive conference on Saturday, where some 500 people went to hear what the PPM would be promising on the campaign trail. Fielding the largest group of candidates in the general election on 22 May, the PPM said from the get-go they would not offer up candidates to challenge former PPM member Arden McLean in East End or the incumbent in North Side, Ezzard Miller, as they were happy to work with both those popular candidates, who are expected to be returned to the LA. The party also said that it would not field a second candidate in Cayman Brac and Little Cayman, where the party’s deputy leader, Moses Kirkconnell, is currently the first elected representative for the district and expected to be returned again with a significant majority. However, McLaughlin had committed to contest every seat in the three larger districts. As a result, fourteen men and one woman were formally presented to the party faithful at a well-attended and upbeat conference at the Family Life Centre on Saturday. Bothwell has been a member of the PPM since its inception and was instrumental in establishing the first West Bay branch office for the party recently. He ran for office in the district in 2005 with the West Bay Alliance, a group of candidates associated with the PPM but that fell short of being full party members — a tactic which the Progressives believe was a mistake as the PPM won every seat it contested that year. Bothwell polled just over 28% of the vote in the 2005 and was absent from the race in 2009. Despite the chain of events since former premier McKeeva Bush’s arrest in December, the 11 charges which were later laid against him, as well as the split in the UDP, the West Bay fight will still be a tough one for the Progressives. Nevertheless, the opposition is hoping that, given all of the current circumstances, it can break the hold which the UDP has had on the district since its formation and Bush’s own seemingly unwavering popularity for many years. Bush and his West Bay candidates — incumbent Captain Eugene Ebanks, and recently confirmed new candidates Bernie Bush and Velma Powery — are facing a potential split vote with current cabinet ministers Roslton Anglin and Cline Glidden, who are planning to run as a new separate team in opposition to the UDP. The PPM candidates are also facing a split vote. The two C4C candidates and at least one other independent on the ticket are likely to take some of Bush’s opposition votes, resulting in a split that will go in the UDP leader’s favour. As a result, breaking "Fortress McKeeva" will still prove a difficult challenge for the PPM. However, all of the candidates received a boost on Saturday with an endorsement from Norman Bodden, who supported the UDP during the 2009 election. But this time the former minister, who served twelve years as a member of the Legislative Assembly, commended the Progressive platform as he encouraged everyone to use their democratic vote at this election. Along with the presentation of the fifteen Progressive candidates and the settlement of the party executive and administrative issues, McLaughlin delivered a speech setting out the broad based policies of the PPM if the party is returned as the next government, as well as the primary focus of restoring confidence and integrity to government. Check back to CNS later for more from McLaughlin’s presentation. (CNS): Government has settled its disputes with the original general contractor on the public high school development projects.Tom Jones International has been paid just $400,000, the education minister stated. Speaking in the LA on Monday, Rolston Anglin said the money was simply to cover the costs of the use of equipment which the firm left on site. He said that TJI had made claims of some $25 million, so it was a settlement of “sum zero” to CIG, especially as government did not think TJI had enough assets to cover the costs of the legal proceedings even if government won the courtroom battle. 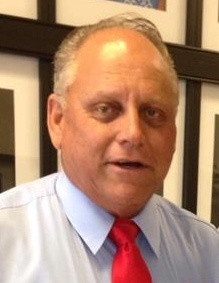 Anglin said the settlement did not represent an admission of wrongdoing by either side. CIG will also keep over CI$5.5 million dollars which was earned by the contractor TJI, during the construction project but held by tgovernment until completion of the project. He said that a full joint press release would be issued later on Monday but, given the circumstances, government did not feel it was worth pursuing the action against the contractor that walked off the site in November 2009 as there was no money in the firm to recover. CIG will also keep over CI$5.5 million dollars which was earned by the contractor TJI, during the construction project but held by the government until completion of the project. 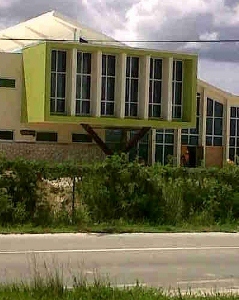 The revelations that TJI Ltd had no assets is ironic as it was the general contractor’s position that it had walked off the schools job sites because it did not believe the Cayman government had the money to pay the school bills. TJI and CIG were in dispute over numerous issues, from claims of overruns by the contractor to withheld payments and the contractors failure to fulfill the contract. See press release from the education ministry below. 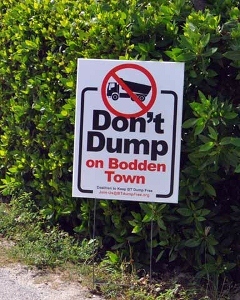 (CNS): Despite being a vocal supporter of the proposal to relocate the George Town landfill to the district of Bodden Town, Walling Whittaker has signalled a U-turn on the UDP policy to support that element of the ForCayman Investment Alliance. 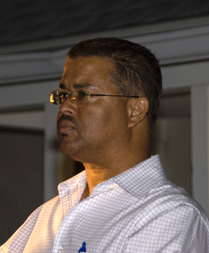 Confirmed as a United Democratic Party candidate for the district of George Town at the party’s general assembly on Saturday, Whittaker back-pedaled on the controversial dump relocation as he was presenting the campaign platform. Whittaker’s firm had been expected to do the work should the proposal go ahead and he had been the face of the project on behalf of Dart before he signalled a likely change of direction. The once staunch advocate for a waste management facility in Bodden Town told the UDP party faithful that, if returned to office, the party would tackle the landfill but did not speak of relocation. “We can’t keep on putting rubbish there for the next forty years,” he declared, referring to the existing dump, and said the UDP would make the tough decisions that would not cost government anything, adding that the party would "let you know how” as it took to the campaign trail. Although he did not reveal what the UDP had planned, the draft party platform document given to attendees at the conference indicated that the UDP would be returning to the concept of a waste-to-energy solution, an irony that will not be lost on those opposing the Dart proposal. With all of the PPM already clearly in opposition to the idea of moving the dump and advocating a return to the original government plan to deal with the landfill on site, and the independents running in the district also against it, the former UDP team running in the district is the only group now openly supporting the Dart proposal to swap land with government in Midland Acres and develop phase one of a new landfill site there. Whittaker made it clear that the UDP were distancing themselves from the Dart dump deal when he said government would tackle the project but made no mention of Dart, a relocation or a land swap and pointed to the possibility of another solution. The proposal to move the dump to the district remains a significant campaign issue. It was originally announced by Mckeeva Bush at the CBO conference in January 2011 just a few weeks after the Central Tenders Committee had announced that it had given approval for the Department of Environmental Health to begin negotiating with a US firm about a waste-to-energy project on the George Town dump. But the UDP appears to have now abandoned the Dart dump deal. Mark Scotland, Dwayne Seymour and Richard Christian, the three 'UDP Lite' candidates who will be running under a new, as yet undisclosed, team name with the remaining Cabinet members, are now the only group backing the Dart proposal. This places the project, which forms the second part of the ForCayman Investment Alliance, in jeopardy. Check back to CNS later for more reports from the UDP general assembly and the PPM party conference on Saturday. (BBC): Hong Kong's top court has ruled that domestic workers are not eligible to apply for permanent residency, ending a two-year battle that has split opinion. The case had centred on Evangeline Banao Vallejos, a maid from the Philippines who has worked in Hong Kong for more than 17 years. Domestic workers had argued that denying them permanent residency was unconstitutional. The ruling has implications for Hong Kong's 300,000 domestic workers. These workers come mainly from the Philippines and Indonesia, often spending years in the territory. "The FDH [foreign domestic helper] is obliged to return to the country of origin at the end of the contract and is told from the outset that admission is not for the purposes of settlement and that dependants cannot be brought to reside in Hong Kong," the Court of Final Appeal said in a written judgement. The issue of right of abode is a sensitive subject in Hong Kong, with campaigners arguing that not allowing foreign domestic workers to settle in Hong Kong amounts to discrimination. ( CNS): Former PPM cabinet minister Charles Clifford has finally declared his intention to run for office for the third time in Bodden Town. 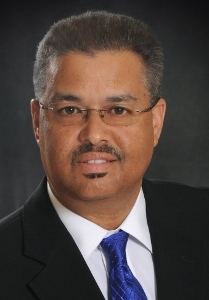 Clifford was elected in the district in 2009 with the PPM, when he polled 53.47% of the vote and served in the 2005-2009 Cabinet. However, he was one of the party’s casualties when he lost his seat in 2009, coming in fifth with just 33.11% of the vote behind his then party colleague Osbourne Bodden. Clifford has said he would be running as an independent candidate, hoping to be part of a government with other independents, but the former tourism minister did not state which candidates he was hoping to join forces with. Clifford told CNS that he has not yet decided if he will be seeking C4C endorsement. In a press statement released on Sunday night, just a few days ahead of Nomination Day, Clifford, who was recently called to the Cayman Bar and started his own law firm, said he hoped to be elected with a group of like-minded candidates. “I will be endorsing and associating with other candidates in the upcoming campaign and I hope to be elected along with enough of them to form the next government,” he said in a press release announcing his candidacy. Clifford said that he planned to meet with the Coalition for Cayman this week but he intended to work with various independents and he would talk more about that in the coming days. He dismissed the party rhetoric that independents cannot form a government, noting that political parties only came into being in a real way in 2001 and for the 40 plus years before that there were loose affiliations and independents that formed every government. Clifford was part of the PPM after he resigned from his post as permanent secretary in the tourism ministry when McKeeva Bush was at the helm. A controversial figure, Clifford was the subject of an enquiry by Sir Richard Tu cker after he was accused of taking government papers without authority when he left the civil service. The documents in question raised questions over the then UDP administration’s handling of the financing and management issues surrounding of the Royal Watler Port, Cayman Airways, Turtle Farm and the Boggy Sands road project. The enquiry focused on the removal of the papers rather than the questions they raised about the government at the time, which he said sent the wrong message about whistle-blowing. Clifford was one of the first public figures to speak directly about what he called “institutionalized corruption” in government and he will also be campaigning on a platform of cleaning house. Although running as an independent, Clifford said he was proud of the work that had been accomplished when he was a member of the PPM administration, which has helped to address issues of good governance. “I was proud to be a member of the Cabinet which delivered the Freedom of Information Law, the Anti-Corruption Law and the Standards in Public Life Commission to our country. The unfortunate era of political corruption is being brought to an end and it is time for us to move on united as a people and free from the divisiveness of party politics to address the multitude of very serious challenges facing our beloved Cayman Islands,” he said. Clifford left the Peoples Progressive Movement in 2010 following a fallout with the leadership over what he claimed was their failure to support him on a protest march against the UDP government’s plans to sell the Government Administration Building and changes to the immigration policy. As with a number of proposals that were floated by the former premier, the idea was dropped. Since then, local political experts were expecting Clifford to form a new political party. However, the former minister appears to be going it alone and hoping to join forces with others. At this point there are only two other independent candidates running in Bodden Town. The UDP is fielding two candidates in the district and the former UDP incumbents are also running with a team of three, while the PPM is running a full slate of four candidates. Clifford acknowledged that he was part of the system but now believes the country made a fundamental mistake by adopted party politics. As one of the leaders of the Coalition to Keep Bodden Town Dump Free, along with Gregg Anderson, who is also running in the district and still hoping for C4C endorsement, Clifford opposes the relocation of the landfill to Bodden Town. ““I know that the people of George Town need relief from the problem but I also know from my service in Cabinet that the problem can be remedied right where it is in order to provide that relief to the people of George Town without placing the burden on the Bodden Town community,” he said. Outlining some of the policies he would support if elected, Clifford has not said who else he wants his supporters to vote for in the district of Bodden Town or which candidates he would work with if he is elected to deliver on hiscampaign promises. He is predicting a coalition government with a Cabinet that offers the best talent from the independent representatives and the political parties. “This is the only hope we have of our elected representatives working together in a real way and demonstrating that this is a much better way to govern a country than the current party system which we have in Cayman. We must begin to dismantle this model of party politics through the ballot box in May 2013,” he added as he asked the people to vote for him. (CNS): Despite the controversy surrounding the choice of this year’s keynote speaker, the glitzy YCLA went ahead on Saturday night at the Ritz, and it came as no surprise when Shomari Scott was crowned this year’s young leader. Scott, who is the director of tourism, has presided over a significant turnaround in Cayman’s overnight guest figures, attracting unprecedented numbers of air arrivals, not least as a result of targeted and award winning marketing campaigns in the US. Scott beat out Michael Blackburn, Marzeta Bodden, Victor Crumbley and Melanie Scott to take the annual gong. The party was marred this year when the board selected Allen West to be keynote speaker. West has made public remarks about myriad minority groups that many consider offensive and some of the YCLA alumni boycotted the event to protest choosing him to speak at this event.